Look at these statistics that lends credence to the fact that you can’t ignore the video marketing trend in 2018. Actually, there is no gainsaying that the most effective method of marketing in the present business world is through digital marketing. The entire world has gone online and because of that, you can easily reach them through web resources. Apart from texts, videos and images are the best ways to do this. Many people used to overlook video marketing to focus on the texts and images. This is probably because of the complexities, the cost of marketing with video and what it also costs the audience to access and view those videos. But the statistics that are coming out have indicated that no serious digital marketer of this era can actually ignore the weight and benefits of video marketing. Thus, at Nooma Conference powered by Max Polyakov were considered and discussed the main issues and advantages of video marketing in more details. Many people have even gone ahead to declare 2018 as the year of video marketing. But, such kind of marketing has been growing massively for the past five years, and its prospects span through many past years and many more to come. 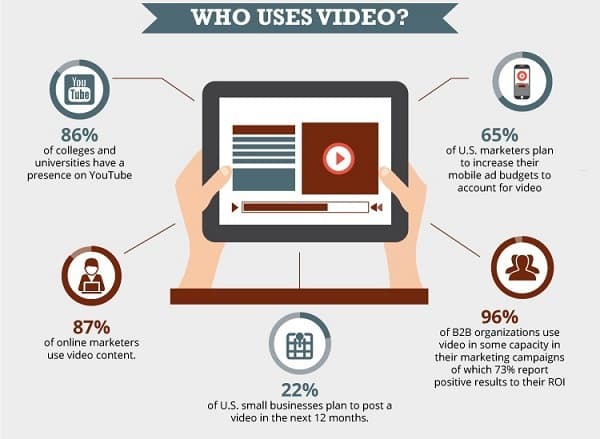 Below is a look at the statistics that lends credence to the fact that you can’t ignore the video marketing trend in 2018. The increase in the number of businesses that make use of video marketing from 2017 to 2018 is from 63% to 81%. Now, when you are presented with a statistics of this nature, it could only mean one thing. The trend has been very effective, and that is why many businesses are delving into it as the day rolls by. When you get a 17% increase in anything within a single year, then that thing is really making waves. Many people believed by 2016 and 2017 that video marketing had gotten the best number of disciples it could get. But they were marveled when the figure rose by 17% in early 2018. Of course, it will not be a daydream if we project 100% percent usage by the next few years. Now, you haven’t heard the last, and the point that made us conclude that it will get to the 100% mark. Firms that have not embraced the video marketing system were asked if they had any plans of embracing it within the next one year. The result we got from 34% of them was that they have arrangements in place to join the video marketing wagon before then. The good thing is that the increase in the number that embraces this will also signal an improvement in the quality of videos thrown out there. This will bring about more creativity in the field, and the consumers will enjoy better videos. After a research that was carried out by Wyzowl in 2017, some mouthwatering discoveries about video marketing were made. The first one is that 82% of the businesses that make use of videos for marketing believe that the return on investment they get through it is amazing. The study also reveals that 97% of all the businesses that make use of the explainer videos to educate their customers believe that the videos help them to understand their products better. When further analyzed, about 94% of the total numbers of businesses that make use of videos see it as a very effective marketing tool. These are not statistics that one can ignore with a wave of the hand. Through videos, 81% of businesses believe there sales increased, while about 53% believe that the videos reduced the number of calls their support desks received. These are simply pointing to the fact that whatever stress it takes to market your products through videos is worth it. One good thing about them is the explanatory value. Now, when you use an image for marketing, you can only market the product. When you use text, it could be so cumbersome and boring that people won’t read them. But the videos are simple, short, very explanatory and educative. Through it, customers learn the benefits of your product, how to use them and why they should buy and use them. Through videos, you do not tell your prospective customers about your products and services, you also show them, and that is always more convincing. According to several studies where the consumers were the subject, more than 50% of internet users were found to search for a video before they visit any store. This was given by Google. Then back to the result of Wyzowl's study, he found out that 79% of consumers would rather watch a video than read about a product. On this angle, the data from Wyzowl also reveals that 84% of consumers purchased products after watching videos, while 91% watched the explainer videos posted by firms. But another important angle lies on the type of videos and video elements that appeal to people. Wyzowl’s study also revealed that as much as 75% of consumers refused to buy because the videos came with annoying voiceovers, while 83% would rather go with chatty and informal toned videos. The simple meaning of this is that more purchases would have been made, had the voiceovers been good, chatty and informal. It still points to the amazing efficacy of well-made videos for marketing. Furthermore, and in the bid to help future video users to get it right, Wistia's research found out that 11-minute videos are the best. Videos of 2 minutes long will see a drop in attention, while videos of 6 and 12 minutes will again witness an increased attention. One more thing to note is that, while making the videos, you must ensure that the content passes clear messages even without the sounds. Mary Meeker's report has it that 81% of consumers mute the video ads while watching them. In Facebook, according to Digiday, 85% of videos were muted while being watched. Mobile video marketing has also gotten its fair share of the growth and rage. Research made by the AIB says that businesses increased what they spend on mobile videos by 95% from 2014 to 2016. The result of the study by Wyzowl has it that 60% would want to watch the video on the desktop, but this was countered by the results of other researchers. 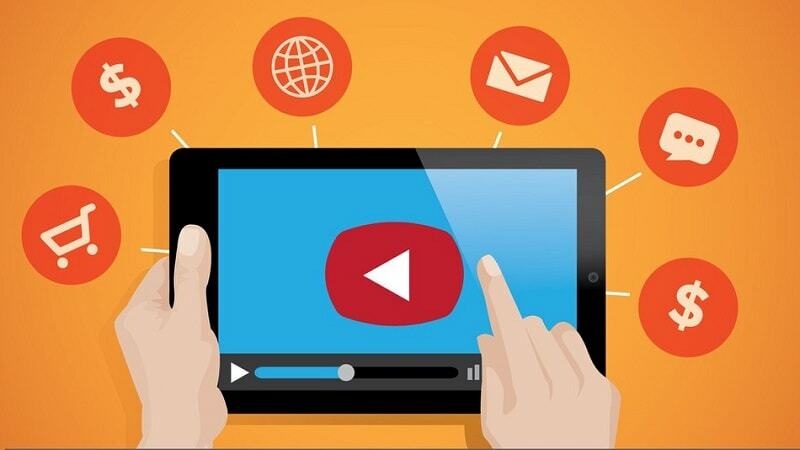 For YouTube, more than half of their consumers use mobile devices. ComScore records that an average YouTube user uses mobile devices to watch YouTube videos at least 40 minutes every day. Even Wyzowl also discovered that 90% of consumers watch videos with their mobile devices. For twitter, 90% of their videos were viewed from mobile devices. All these points to the fact that the future of video marketing rests with the mobile devices. To cap it all up, consumers themselves have been talking. When interviewed, 85% of the people posited that they will like to see more videos from businesses and brands by 2018. Would you rather be that brand that will not adhere to this? It simply means that you won’t sell. The truth is that your marketing tactics is good, but only when the consumers say so. When it does not elicit pulses that will make them take actions, it has failed. So the revelation is that consumers endorse more videos and would be expecting more this year. You must key into this if you want to reach them and get them to take action. I'm Alice Turner, the young and prominent web writer at Nooma. My passion is marketing, so I'd be really glad to share my knowledge with the readers.